While we wait for the greenhouse lettuce to get big enough to eat, let us dwell on summery topics like butterflies. Usually I save my book reviews for While Reading to the Dog, but in this case I'll make an exception. 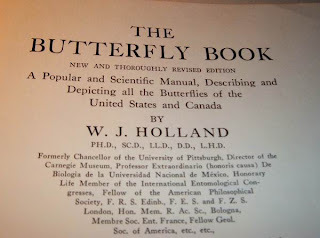 I got lucky at a library sale earlier this month and found another vintage copy (1931) of The Butterfly Book: A Popular and Scientific Manual Depicting All the Butterflies of the United States and Canada by W.J. Holland. It isn't. 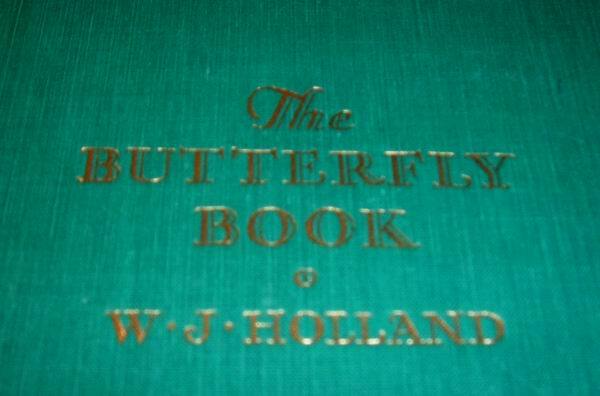 This thick, heavy book includes more than 70 full-color plates, with butterflies and their vivid colors exploding out of the pages. The scientific text includes the names, habitat, natural predators, and line illustrations of the wing profile of each species. 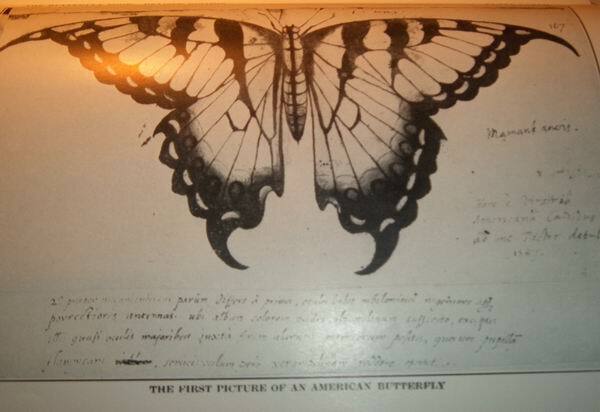 As well as a black and white plate of the very first scientific drawing of an American butterfly from 1887. 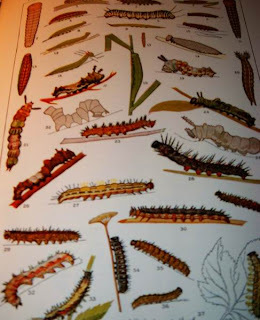 Several of the plates include each species' catapillars, in great detail, and on their plant food of choice if it's unique and unusual. Here and there are tucked butterfly poems and trivia. 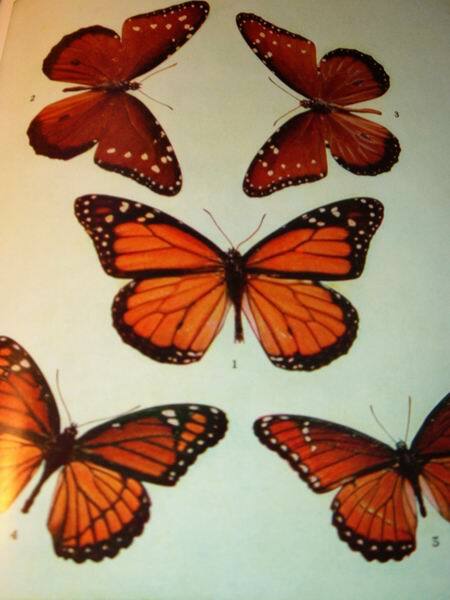 Did you know the Scots refer to them as flutterby's? 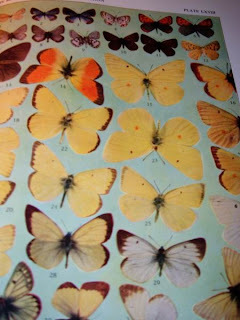 Mostly though, there are just beautiful color illustrations of every conceiveable butterfly, enough to convince you summer is right around the corner. 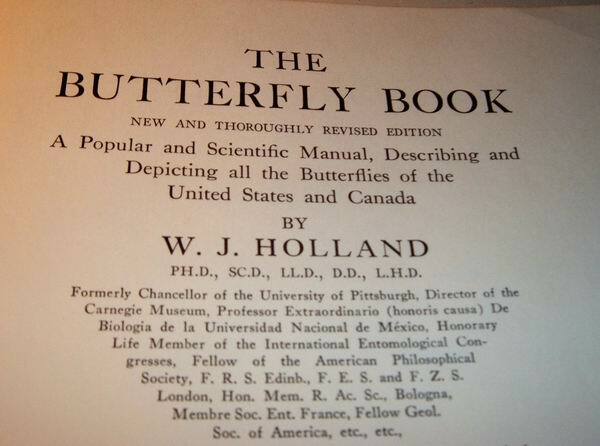 The Butterfly Book: A Popular and Scientific Manual Depicting All the Butterflies of the United States and Canada by W.J. 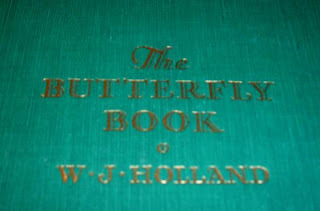 Holland, Offered for Sale by Chewybooks as of November 20,2009. But for now, my greenhouse uses the sun as its sole source of heat. (And no electricity or auto -venting on too-warm days). Of course the automatic watering consists of me turning the hose on. 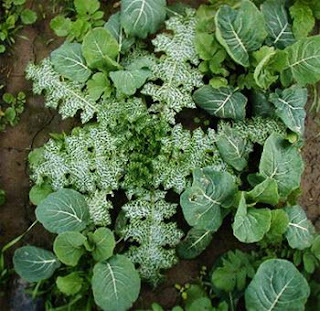 So this leaves the problem of maintaining sufficient warmth during the cold months and having a water source that doesn't freeze. Note: I live in southern Virginia. Having previously lived in Minnesota, I do understand that cold is very relative. Our lowest temperatures of the year *usually* fall at 10-15 degrees during a two week period in January. 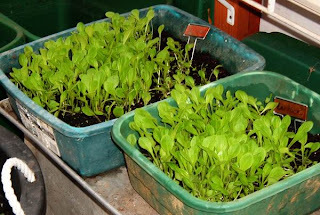 Even on those days, if the sun is out, the greenhouse will be at 80 degrees, during the day. Your mileage if you live father north will be much different and this particular sort of solar greenhouse wouldn't be worth your time. But you can check the DIY plans at Build It Solar. It can be done. Keeping some warmth in it at night is the problem. The walls are half-wood, giving it some shelter, and the outside paint is dark green, which helps absorb some heat. The interior walls are white, so they reflect as much light during the darker winter daylight hours. The upper walls/roof area is a heavy duty plastic (an excellent product purchased from Northern Sun in North Dakota -it's lasted three years even in our southern sun, with no visible deterioration or brittleness). The northern upper wall/roof is also covered inside with bubble wrap - the large bubble air pockets give it some extra insulation. And believe it or not, the floor is carpeted. As of this last week, there are two-three layers covering the dirt floor. Long-term plans include a brick paver floor. Meanwhile the carpet retains some warmth, and minimizes mud. 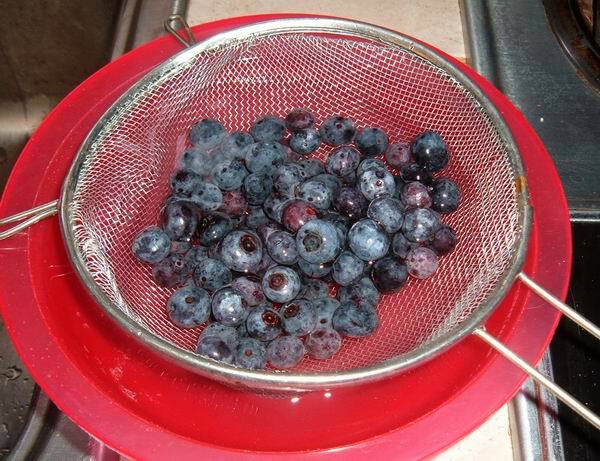 However, to solve both the heat retention problem and the winter water source, I have several large tubs of water (dark colored tubs, bought at walmart for $5 each) that I fill late in the fall (say, today for instance). The hose connections actually run across the yard, being buried approx 2 feet down, but the connection is outside the greenhouse (it was there first), and so the connecting hose is exposed and vulnerable to freezing. 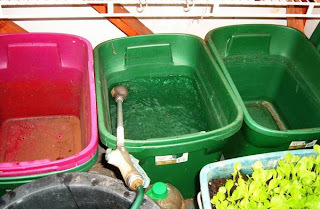 After filling the tubs, I fill as many plastic jugs as I can save up during the summer, and use through out the winter as needed. 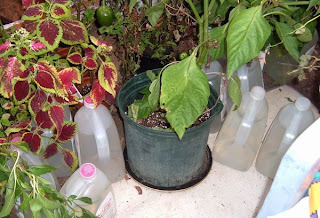 Milk jugs can be used, but will only last one winter -the heat in the greenhouse makes them brittle. Ice tea jugs are intentionally heavier, due to the tannic acid found in tea and will hold up much longer. 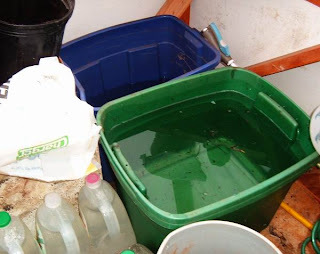 Most of the solar greenhouse sites I see recommend painting the water reservoirs black. I've tried this and found no discernable difference in heat retention, plus the paint eats the plastic while it peels and chips off. 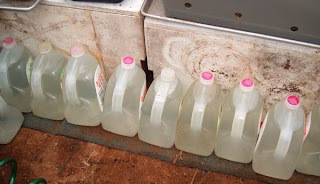 I have 5 large tubs of water, and 36 waterjugs - this will probably get the crops almost completely through the winter. In the last three years, the water has never froze or even iced over. The coleus are on borrowed time, but I'm hoping to baby the green peppers through at least December since they are loaded with little peppers. During the day, both the peppers and the coleus are covered with a gauzey sheet, to keep the heat from burning up (average daytime temps now are 100 degrees,even when it's 50 outside), and during the evening hours the gauze holds more warmth in close to the plants. 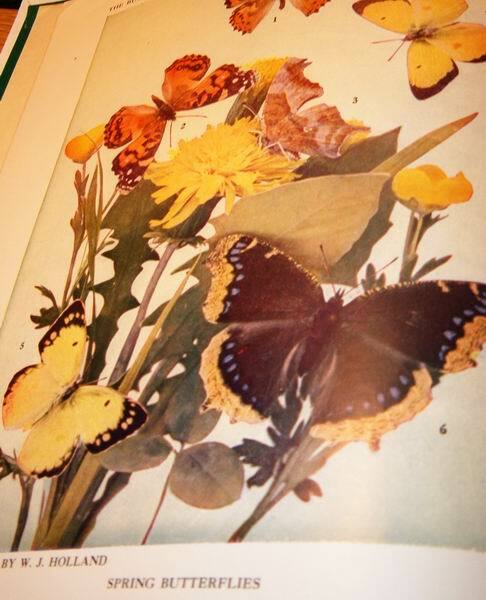 Last tip for today: remember this plant? 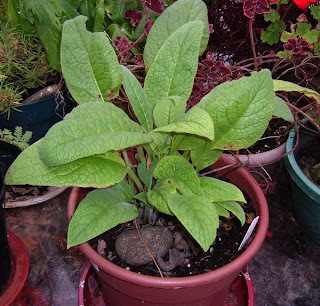 The ever-useful, easy-to-grow comfrey? 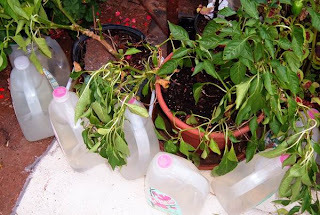 It naturally loses a leaf or two a week, so I toss the leaves into the water tubs -they decompose quickly and are a wonderful natural source of fertilizer for the other plants. 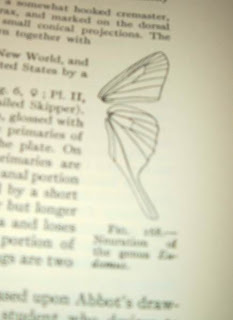 While working in the greenhouse some two weeks ago, I leaned over, and as I straightened up I felt a familiar twinge in my back. After hurting my back some 15 years ago, it acts up more or less annually now -usually resulting in severe pain for approximately two weeks. During this time I am addicted to heating pads and Advil. 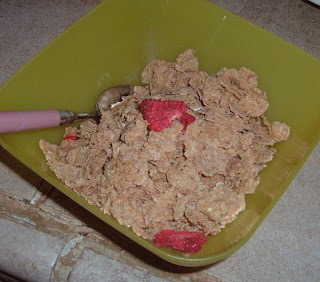 This time, I happened to have an annual checkup, complete with bloodwork, and lo and behold, the liver tests came back high, meaning there might be some liver damage. Immediately I thought it was due to the large amount of Advil I'd been taking. Eventually, a second set of tests were taken, and came back clean. 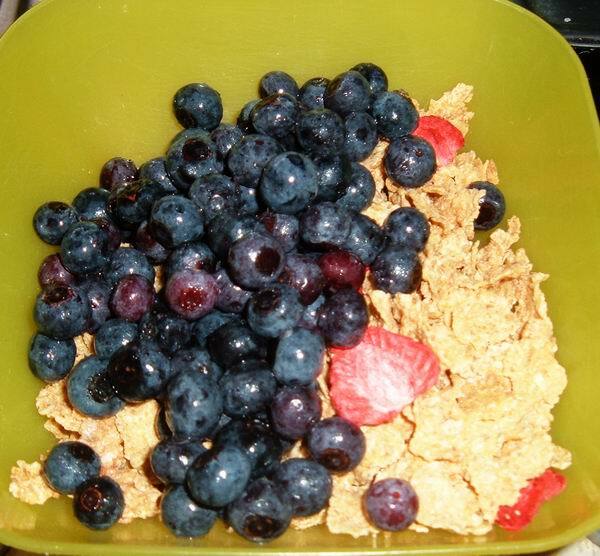 While I was waiting for the second tests to come back, a friend mentioned milk thistle to me as a liver cleanser. 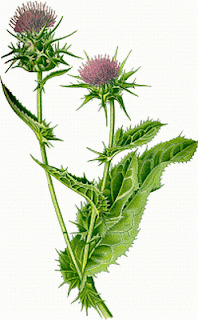 Turns out milk thistle extract has been used for thousands of years to help clean the liver. 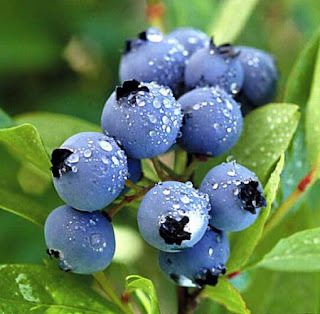 It helps to detox and maintain liver health, and canhelp with cirrhosis, jaundice, hepatitis and even gallbladder disorders. It may also help lower "bad" cholesterol, reduce the growth of cancer cells in breast, cervical and prostate cancers, and help with type 2 diabetes. The only warnings I can find in research are directed towards women who are pregnant or breatfeeding, and those who have had endometriosis, fibroid tumors, breast, uterine or ovarian cancers. (Didn't find the exact reason why though). 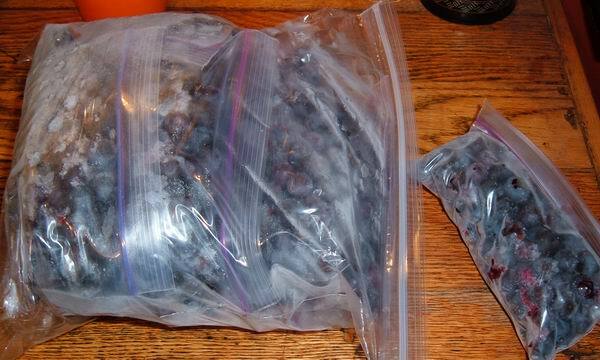 As usual, your mileage may vary, and it may interact with other medications. 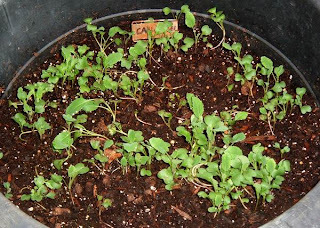 This is the part where I say I have milk thistle growing in my backyard and I make teas or dry my own. I don't. 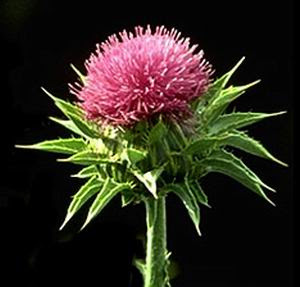 I tend to pull up thistle when I find it in my yard (and I have no idea if it's milk thistle or some other type). 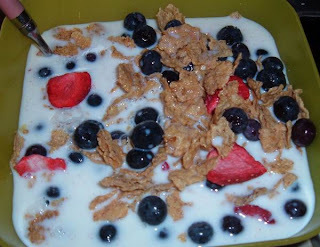 I buy my milk thistle at the store. The dried extract is sold in capsules, and I take one a day. I also take as few Advil as possible, but when the choice is writhing in pain or ruining my liver, I figure I'm dead either way, so I take the Advil. And now I follow it with a milk thistle chaser.